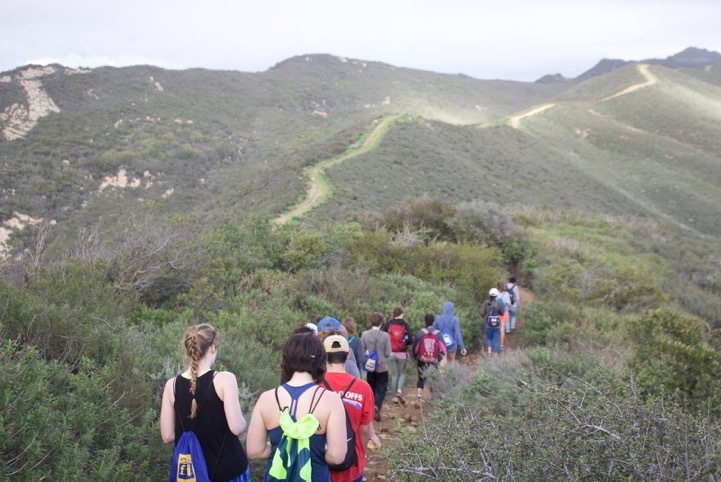 We lead hikes every weekend to trails throughout the Santa Barbara area and provide transportation. Take a break from studying and explore what this gorgeous town has to offer! Every quarter EAB hosts Green Chef, a vegan cooking competition, to spread awareness of vegan cuisines. Awards are given to the most creative, most sustainable, and best tasting dishes. Anyone can participate! If you don’t bring a dish, you can still sample the other dishes! We hope Green Chef will inspire more people to try vegan dishes! 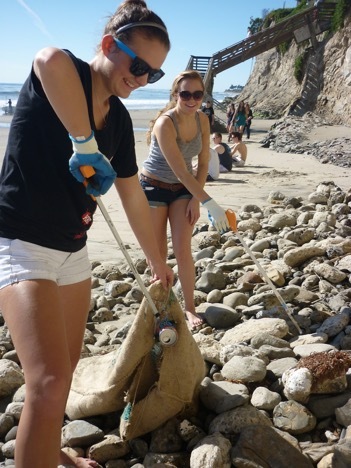 EAB regularly partners with Isla Vista Recreation and Parks to beautify Isla Vista. Armed with our high fashion neon vests and tangerine-colored grapplers, we scavenge high and low for the oddities found in the streets of IV. Help us keep IV clean as we take a relaxing stroll and pick up trash. Afterwards, enjoy FREE food! 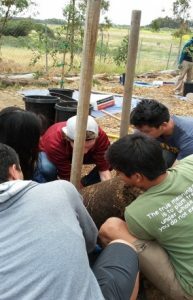 We volunteer with CCBER to do restoration on campus and learn more about plants and restoration regulations in the area. We also take special trips out to the Channel Islands to help with restoration out there. It’s a wonderful opportunity to explore the islands and see what California looked like before urbanization! 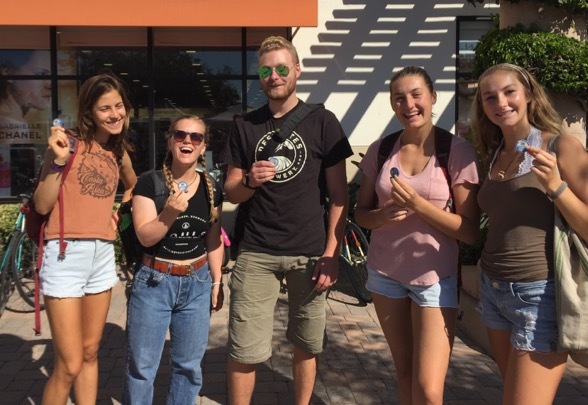 We partner with other campus organizations like Isla Vista Surfrider to coordinate beach clean-ups at Campus Point and Del Playa Beach. We have picked up over 250 pounds of trash in just a few hours before. 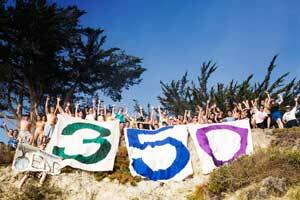 Help us keep our beaches clean and safe for all! EAB consistently volunteers with the organization Your Children’s Trees by planting trees and maintaining saplings at their restoration sites. Your Children’s Trees is currently working on the establishment of a native Oak Woodland at Coal Oil Point. We meet at Bagel Cafe for breakfast before biking over to the restoration sites (locations vary). Come to a meeting to find out when our next work day is! 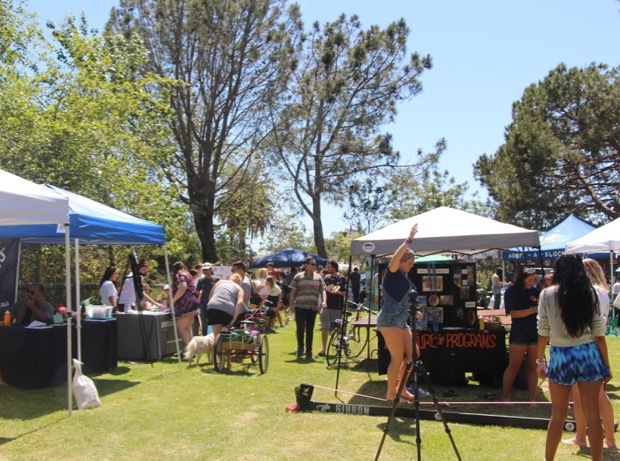 EAB organizes an Earth Day Festival in Isla Vista every April to celebrate Earth Day. The community event features live music, sustainable foods, eco-conscious vendors, art, and activities for people of all ages. The celebration attracts upwards of 2,000 people annually. Previous vendors include Guayaki Yerba Mate, KIND snacks, and the Isla Vista Food Cooperative. We lobby decision-makers at every level for effective environmental policy. 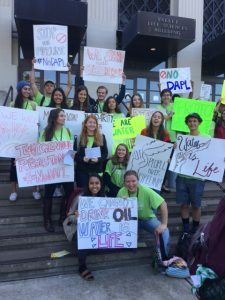 Recent actions include sending 15 students to Berkeley, CA for the Powershift Convergence (November 2016) and 23 students to Copenhagen, Denmark for the United Nations Climate Change Conference (December 2009). While in Copenhagen the students blogged extensively about their experience. Bike with us to the Goleta Farmers Market in the Camino Real Marketplace to support our local farmers. Enjoy delicious, locally grown, and organic produce while getting some exercise. Check out the EAB Facebook page to find out when our next bike ride is! EAB leads an awesome camping trip every quarter! Come learn more about your fellow EABers while hanging out at the beach, adventuring into unknown territories, or getting some exercise. 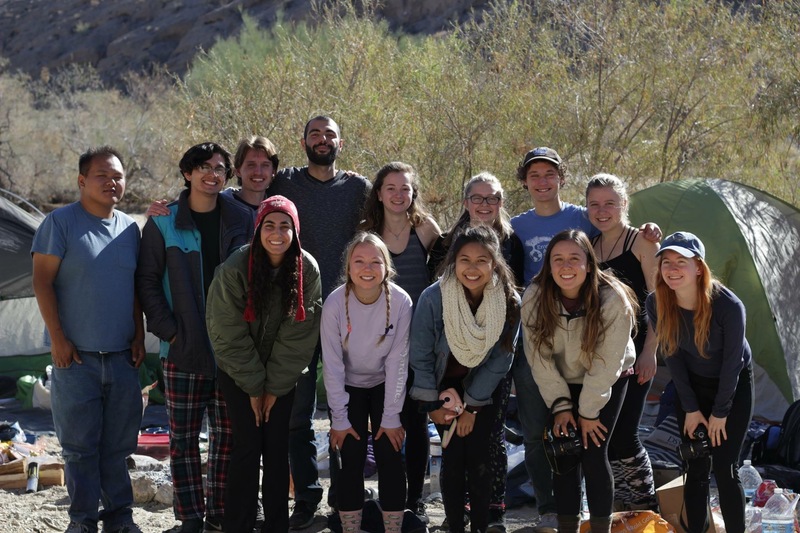 Past trips have included Joshua Tree National Park, El Capitan State Beach, San Rafael Wilderness, and more!